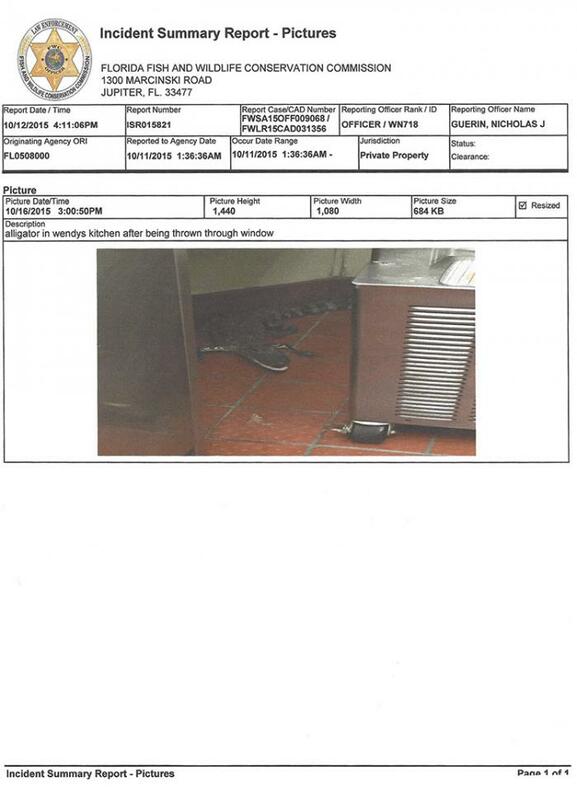 FEBRUARY 9--A Florida man was jailed yesterday for allegedly throwing a small alligator into the drive-thru window of a Wendy’s restaurant. 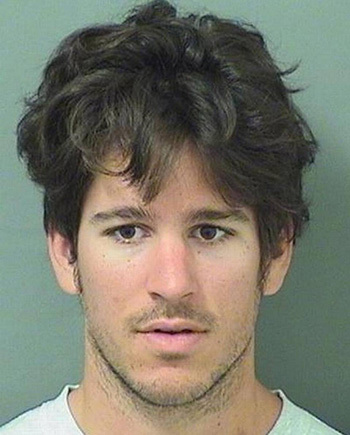 According to investigators, Joshua James, 24, placed an order at the fast food restaurant near Loxahatchee, a Palm Beach County town. 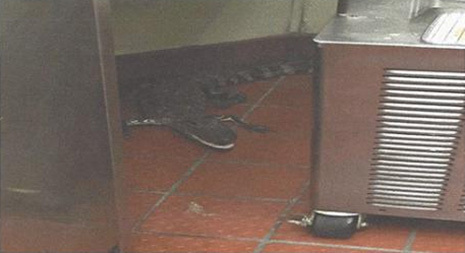 After James pulled up to the drive-thru window around 1:20 AM and received his drink, he allegedly threw the live three-and-a-half foot gator into the eatery while the Wendy's worker had her back turned. Police allege that James, a Jupiter resident, found the alligator on a roadway and transported it in his truck to Wendy’s. 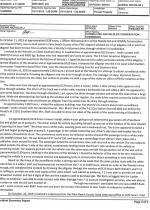 The alligator is seen above in a photo included in a Florida Fish and Wildlife Conservation Commission incident report. 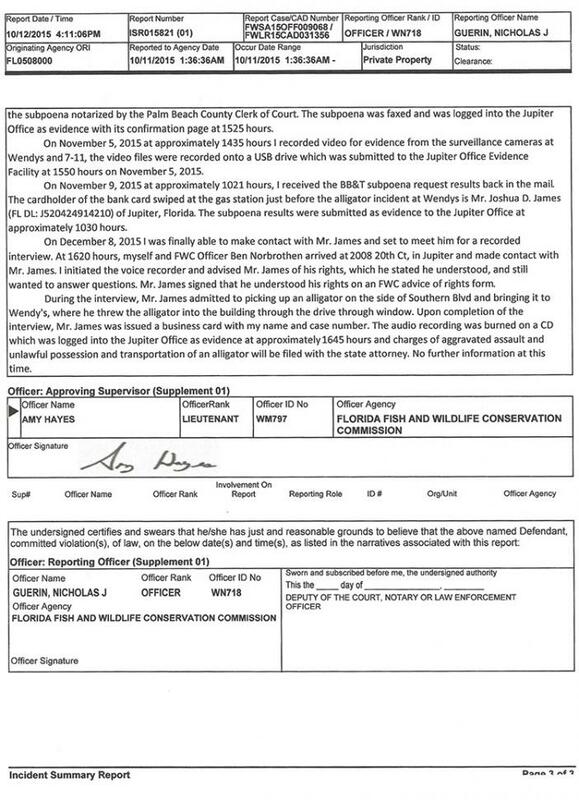 The alleged reptile tossing occurred in October, and James was charged in mid-December with aggravated assault with a deadly weapon, theft, and unlawful possession of an alligator. 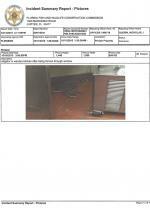 He was collared yesterday on those felony and misdemeanor counts. 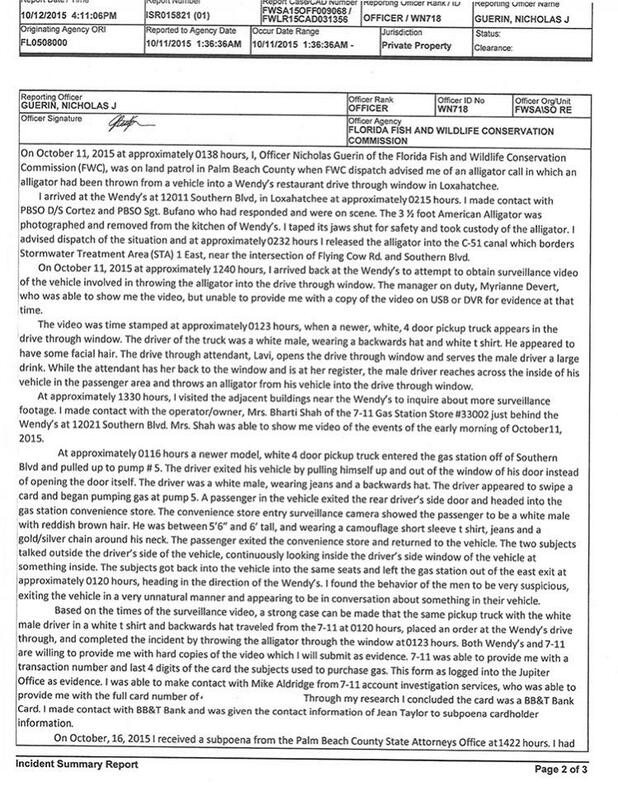 During a recorded December interview with two investigators, James reportedly confessed to the alligator tossing and admitted “picking up an alligator on the side of Southern Blvd and brining it to the Wendy’s” in his Nissan Frontier. It is unknown why James decided to throw the alligator into Wendy’s, though his parents claim it was a “stupid prank” directed at a worker with whom their son is friendly. 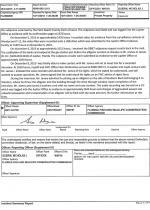 Seen at right, James, who is next scheduled for a March 9 court appearance, was also ordered to undergo a mental health evaluation.